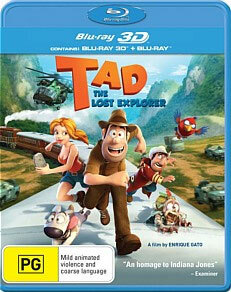 Tad the Explorer 3D Blu-ray Review As an adult, the story is relatively predictable but interestingly enough, the 3D works quite well and really highlights the story into creating something fun and interesting. Some scenes are a little forced but overall, Tad the Explorer 3D will be enjoyed by the targeted audience of its creators. After watching Tad the Explorer 3D, one can definitely see the parallels between Indiana Jones in this 3D animated adventure for children. 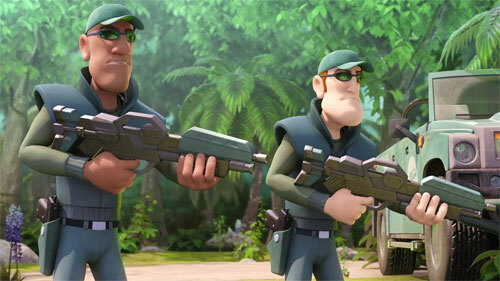 Even though the budget cannot be compared to other 3D animated films such as Monster University or Despicable Me 2, director Enrique Gato does a decent enough job to create an enjoyable film with a limited budget, even though the graphics sometimes mimic a PC Video Game. The story of Tad the Explorer revolves around Tad (Oscar Barberan) who was unceremoniously fired by his construction boss for spending too much time being a faux-archaeologist opposed to a construction worker. His mentor however, Professor Humbert (Carles Canut) has the perfect solution for Tad when he receives an ancient tablet that may open the ancient gates of Paititi. And thus begins the adventure for Tad! From here, Ted flies to Peru with his dog Jeff where he meets Freddy (Jose Mota) and the beautiful Sara (Michelle Jenner) who also serves as a romantic interest for Tad. However when meeting Sara, he discovers that her father, Professor Lavrov is also caught up in this mystery but has been kidnapped by the nefarious and comedic pirate Kopponen (Migeul Angel Jenner). Together, these bunch of colourful individuals must work together to not only solve the mystery of Paititi but rescue Professor Lavrov from the clutches of Kopponen. 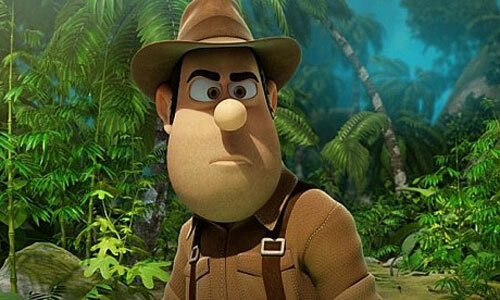 The story itself is oozing with clichés and borrows heavily from Raiders of the Lost Ark, not that there is anything wrong with that to create a fun 3D animated film that younger children will enjoy. As an adult, the story is relatively predictable but interestingly enough, the 3D works quite well and really highlights the story into creating something fun and interesting. 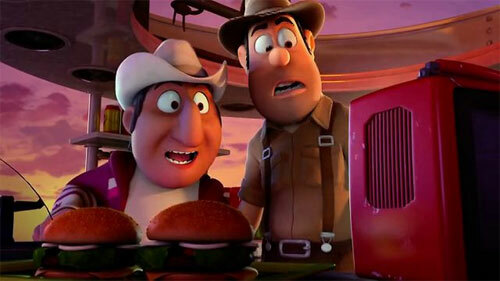 Some scenes are a little forced but overall, Tad the Explorer 3D will be enjoyed by the targeted audience of its creators.